The Housing Trust Fund Project, created in 1986, is a special initiative of the Center for Community Change. 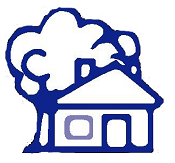 The Project operates as a clearinghouse of information on housing trust funds throughout the country, and provides technical assistance to organizations and agencies working to create or implement these funds. The Housing Trust Fund Project is the nation’s only comprehensive source of information and technical assistance on these funds. Click here to access the Housing Trust Fund Project.